So it's not like I'm obsessed about it, but I turned 36 this year. I was born in 1977. My niece Miyo has taken to calling me "Grandma" and "old lady" and when I protested, my mom pointed out that technically, I could be a Grandma. I always thought that at 36 I'd be all grown up. Except I frequently eat dinner over the kitchen sink and fall asleep in my clothes. My bedroom looks like the bedroom of a 16-year-old boy and I once found a chicken wing in my bed. Shakira, Singer. Born February 2, 1977. Married to that hot soccer player above and just had her first baby. Not a natural blonde, but it looks better on her than me. Fabulous poet-lyricist-singer. Amazing at belly dancing. Her hips do not lie. 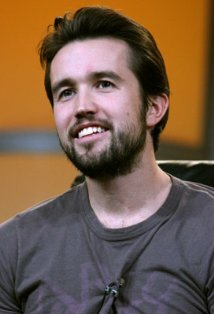 Rob McElhenney, writer It's Always Sunny in Philadelphia. Rob was born April 14, 1977. He is married (to Kaitlin Olson who plays Dee on Sunny) and has a baby. He makes his living as a writer. Looks good, even when fat. Gets to work with Danny DeVito. 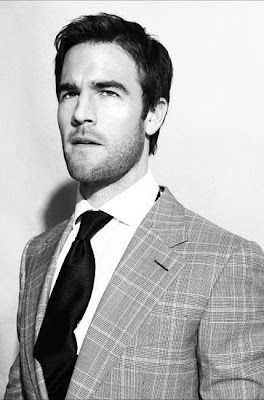 James Van Der Beek, aka Dawson, Dawson's Creek. James was born on March 8, 1977. He is married with two kids. He makes his living as an actor. He enjoys watching football and baseball. 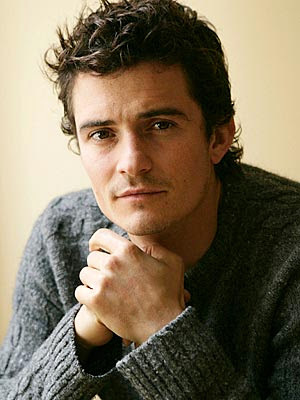 Orlando Bloom, actor. Born January 13, 1977. Likes to make millions by signing on to epic trilogies i.e. Pirates of the Caribbean and Lord of the Rings. Married to Victoria's Secret model Miranda Kerr. They have a baby. Robin Thicke, that guy Miley Cyrus twerked up on. Born March 10, 1977. Married. Baby. Sarah Michelle Gellar, Buffy the Vampire Slayer. April 14, 1977. Married to Freddie Prinze Jr. Two kids. Jessica Chastain, Zero Dark Thirty, The Help. March 24, 1977. 2013 Oscar nominee. In a long term relationship. Named "Sexiest Actress Alive" by Glamour magazine. Liv Tyler, actor. July 1, 1977. Very famous dad. Has a son called Milo. Zachary Quinto, actor. June 2, 1977. Single. Hot. Gay. The new Spock. Colin Hanks, actor. Son of Tom Hanks. November 24, 1977. Married. Two kids. Kerry Washington, actor. January 31, 1977. Married to a San Francisco 49'er. The list goes on and on. Need I even mention Saved by the Bell's Dustin Diamond, aka Screech? Meanwhile I get angry when my greasy hair can't make it one more day without a shampooing and I get a real sense of accomplishment when I finish a full season of some TV show all in one day. SO: Which celebrities are from your birth year, and how do you measure up? Try not to feel bad, I'm older than all of you and the only things I can find in common with any of these people is I have two kids and I breastfed them in public. So why do you this stuff to yourself? You've accomplished a lot of amazing things. And you're just getting started. Sheesh. Ya but pshaw, you're cool. I Wanna Get Next to You. Not You! "Everyone Can Go to Heck"
Sunday Favorites: Kim Jong Hal?